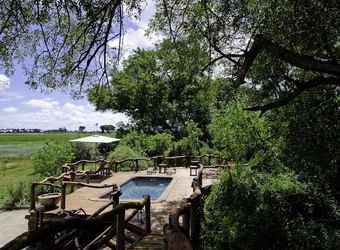 Tubu Tree Camp, surrounded by grasslands, lies within a setting that attracts many species of plains animals. 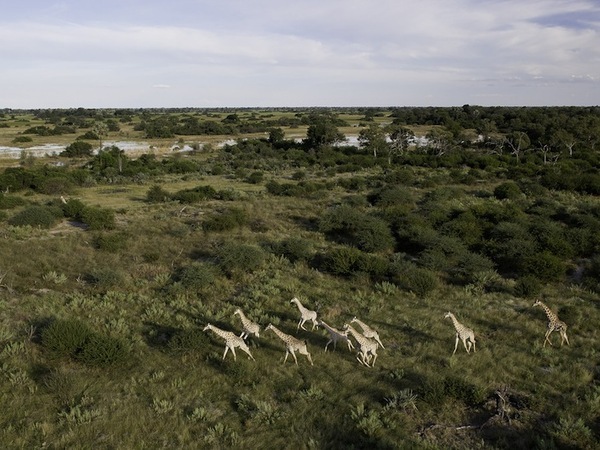 It is located on Hunda Island, the largest area of permanently dry land in this region of the Okavango Delta. 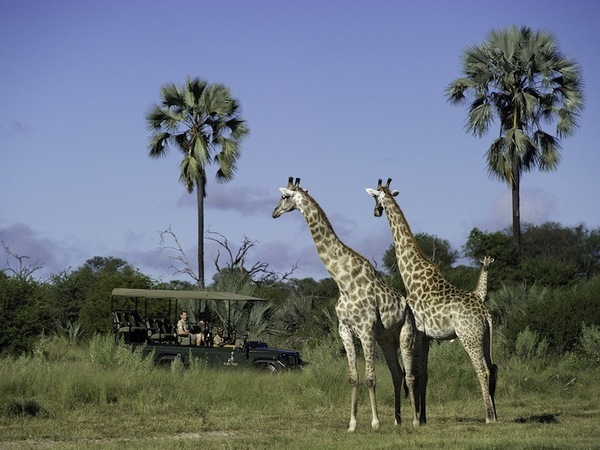 A range of diverse habitats, from dry Kalahari sandveld to mopane and riverine forest on the edge of the permanent waterways ensures spectacular wildlife viewing. 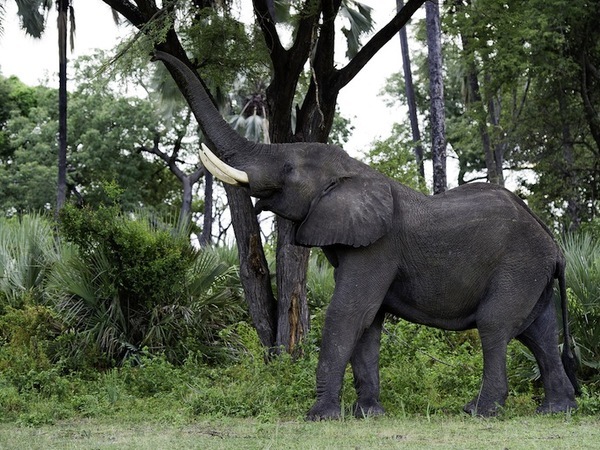 Tubu is one of my favorites, a small delta camp offering a great diversity of wildlife. Activities generally center on land-based activities with day and night wildlife drives, but May to September offers the opportunity for water-based activities as well. Depending on the time of year, I would recommend combining this camp with another one in the delta that offers permanent water activities. 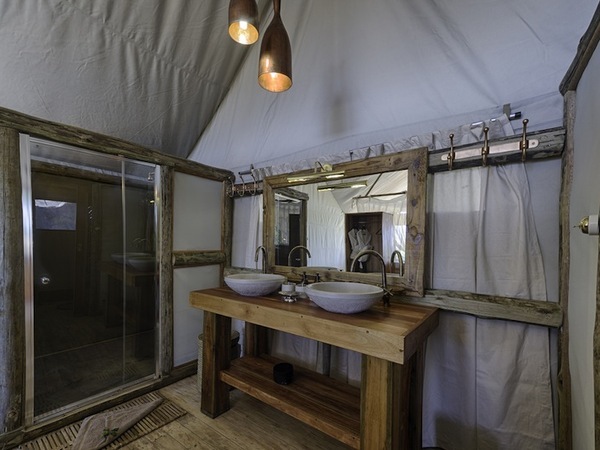 Tubu Tree Camp is built in traditional safari style, with eight well-appointed tents on raised wooden platforms, including a family suite, each surrounded by picturesque floodplain vistas. 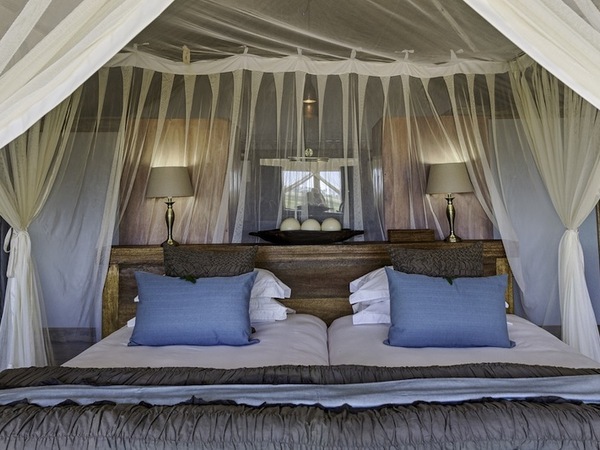 Little Tubu is the private adjacent camp boasting just three luxurious tents. The private placement of each tent ensures a sense of intimacy. 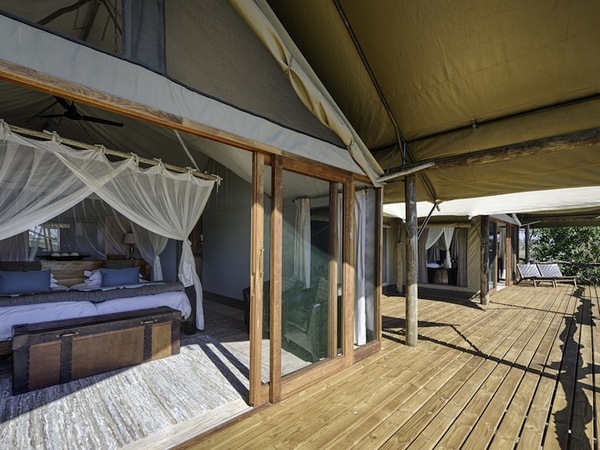 Attached verandas offer comfortable private seating to take in the sweeping views and vivid African sunsets following daytime safari activities. En suite bathroom facilities are standard as are private indoor and outdoor cascading showers. 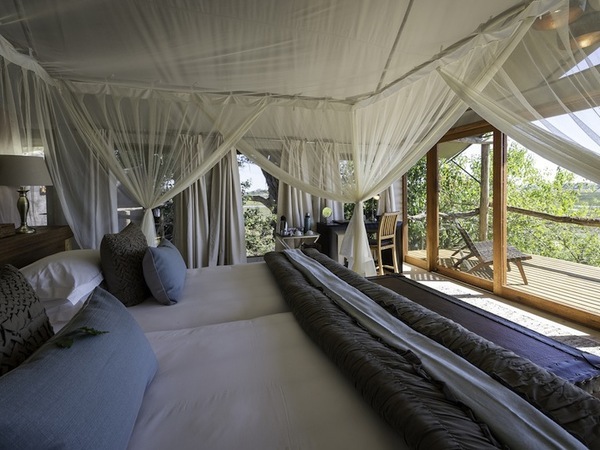 Perched among the trees, the stylish rooms are adorned with traditional décor and offer the utmost comfort. The gracious main dining area, lounge, fire ring and pool are also raised on platforms providing the opportunity to view elephants, zebra and other wildlife traveling across the watery meadows nearby. 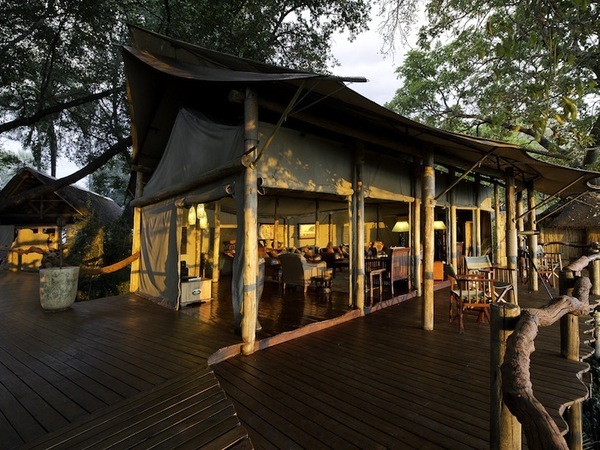 Tubu Tree Camp features an outdoor pub, which lies under a canopy of a massive marula tree and is backlit for relaxing evenings under the stars. 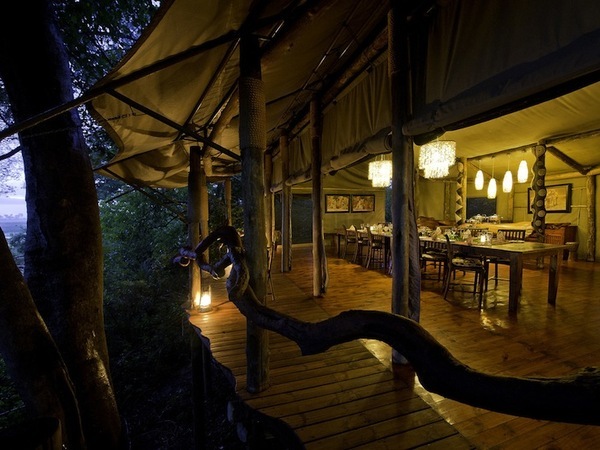 Superior personal service is a hallmark of Tubu Tree Camp and beckons travelers to visit again. 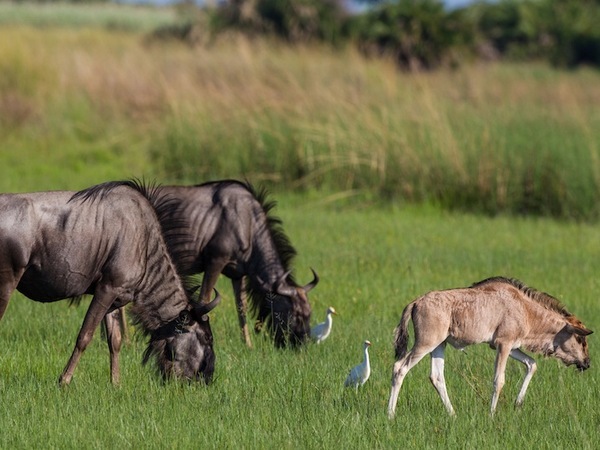 Wildlife spotted around Tubu Tree Camp includes elephant, lion, Burchell's zebra, red lechwe, southern giraffe, tsessebe, and blue wildebeest upon the sprawling floodplains. 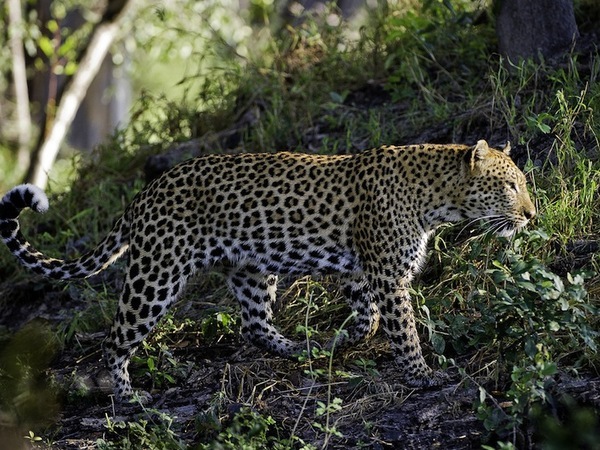 Kudu, impala, leopard and bushbuck are also seen in the forested areas. The variety of bird life is impressive, with dry-land species seen on the large islands and all the wetland birds seen on the floodplains and waterways, including Pel's fishing-owl, rosy-throated longclaws, coppery-tailed coucal and African Skimmer. Throughout the year, day and night wildlife drives in open 4x4 vehicles are available. There are two platform hides in the concession, offering incredible up-close viewing of the profusion of active animals. 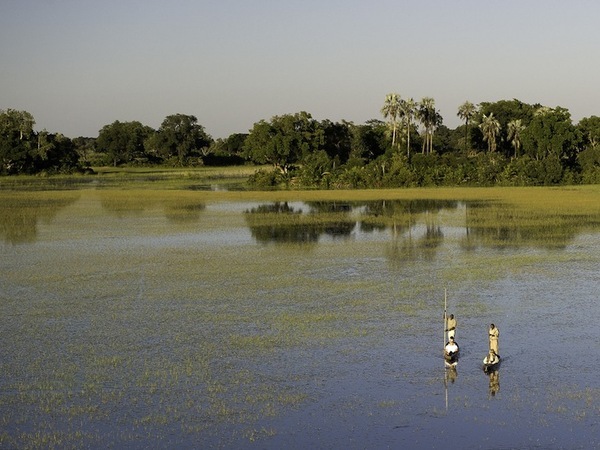 During winter, the water levels around Tubu Tree Camp rise and the floodplains become covered with water allowing for a wide range of water activities, from boating and fishing to mokoro trips along the vast network of emerald waterways. 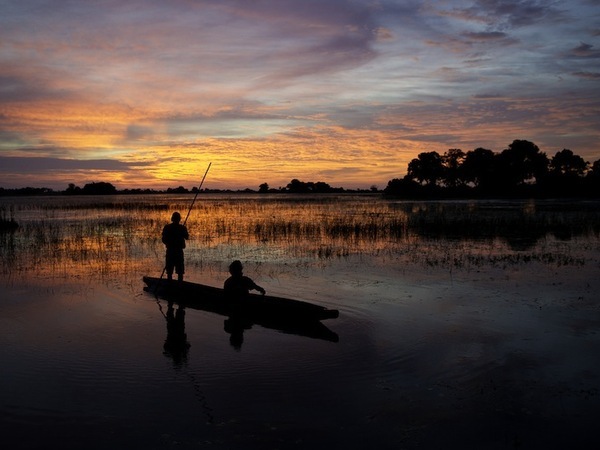 The Okavango Delta is a year-round wildlife viewing destination, with the peak mammal viewing in the dry winter between June and October and fantastic birding all year. The below chart shows major wildlife sightings. Other typical sightings may include small mammals, such as jackals, foxes, caracal and serval, and a wide variety of birds and reptiles. Exact sightings will depend on weather and wildlife movements and can vary from camp to camp, since many camps are located on islands. Tubu Tree Camp is intimately involved in the Jao Lion Monitoring Project, which was started shortly after the inception of the Jao Concession. Every effort is made to monitor the movement, social behavior and condition of individual lions. The Jao Concession is home to some impressively large herds of red lechwe antelope and the subsequent lion prides that specialize in preying on them. Well-known lion biologist, Dr. Pieter Kat, has spent time in the Jao Concession, both offering advice and also making use of the camp’s information. He heads up a long-running lion research project in the south of the Delta and is the author of the book Prides, Lions of the Moremi. Dr. Kat also advises the Botswana Government on matters pertaining to the conservation of lions. He has gathered some useful data from Tubu Tree Camp’s project to support his ongoing efforts to maintain and extend the ban on lion hunting in Botswana. "Tubu Tree Camp was by far our favorite place to stay in Africa! The beauty of the surrounding area, the amount of wildlife present and the peacefulness all were astounding. The leopards around this camp were amazing!! Our lodge hosts were two of the nicest people we have met on our travels throughout the world. 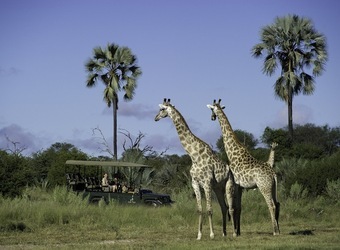 My husband and I will definitely return to Botswana and we will be sure that this camp is on our itinerary. " 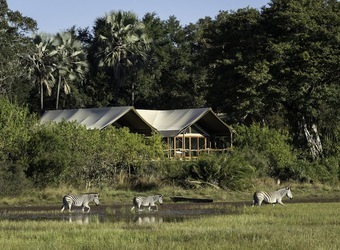 "This was the last camp we stayed on our safari and one of the best. We had a massive view of the delta from our tent in the trees. The tent was so very comfortable and spacious. 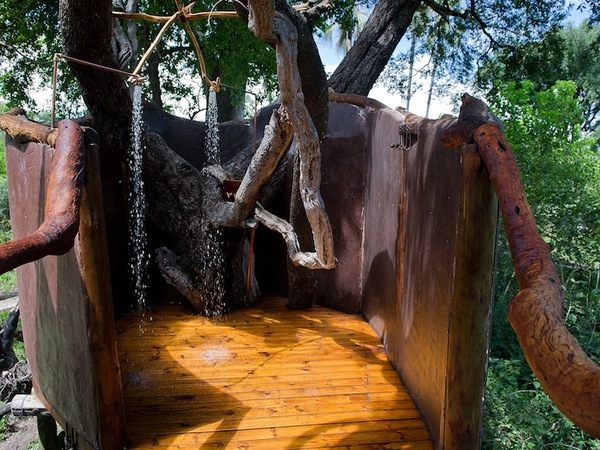 Two outside showers were built around the tree trunk and was a favorite of ours. And to top it all, a troop of baboons past through the camp and slid down the sides of our tent. It was so much fun to watching them explore as they passed by. There was an abundance of wildlife here and we saw many creatures for the first time, such as a hyena. We spent hours watching a female leopard with her prey in a tree. And we got up-close and personal with adult male elephant who decided to check us out in our Land Rover. I have a once in a lifetime video of that! We had a wonderful sunset cocktail party in the bush. The staff was amazing and the food was excellent. We even came home with a delicious desert recipe that I have been unable to duplicate. And our last meal was Botswana family style. You must find out for yourself how fun that was! " "Tubu Tree Camp was our final camp, and the only one not on the water. I missed the water, I have to say. We had a lovely time; the staff was great, the food was good, etc. But I really missed being on the water." "The fireside dinner was very special, a glimpse into native activities. The managers were very involved in their guests, providing not just the basics but going above and beyond expectations. One afternoon we were able to meet a group of the native women and view their crafts. How special to not only purchase native crafts for special souvenirs, but meet the women who made them. Either sitting on our deck or showering, we could view the wildlife as they traveled across the water. Amazing meals and terrific staff Watching the parrots eat just off of our deck So many great memories"
"This was such a wonderful camp and experience. The managers were wonderful and truly engaged with our group. The evening canoe ride was wonderful. The wide array of animals to view from our room at sunrise and sunset. We particularly enjoyed watching the parrots eating in the tree outside our room The male elephant who took a slow stroll thru camp was a special treat. A special experience was meeting w the ladies who worked at the camp and a 'lesson' on basket weaving w an opportunity to purchase lovely examples made by these same women. I love seeing them on the wall in my office and allowing them to take me back to this very special place"
"This review is actually for Little Tubu--a new addition to Tubu Tree as of May 2013. I was one of five people (plus guide and safari coordinator) that were the first guests at Little Tubu and we were the benficiaries of a wonderful experience. It has a very open, contemporary feel with many of the traditional touches. The tents are quite large and the deck will be a wonderful addition at another time of the year. Management and staff were interested in our opinions and open to suggestion. As always on these trips, the food was wonderful. Wildlife viewing in the concession is so pleasant--no large crowds and the "three vehicle rule", while not often necessary, contributes to the experience. I give this camp the highest rating. " "Tubu Tree is my favorite after two safaris. It is very, very comfortable, but not too "luxury." Game drives are always good here and you can see a lot just sitting on your porch watching animals saunter by. Food is very good, staff is friendly and helpful. Outdoor shower is the best... This is one camp I will always want to go back to. Just has a great atmosphere." "This was our last camp on our 13 day safari, needles to say i think they saved the best for last. I do not think i can do it justice in a review, its one of those places you have to SEE to BELIEVE. 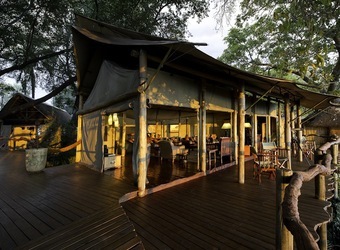 Everything about this camp was perfect, the staff the location the activities the animals the food the service, let me just say a review can never do justice to anything you encounter in Africa it is a place you just have to go and experience to understand what the reviews are trying to get across. This camp was excellent in every way. The weather was wonderful brisk in the morning 40s f warm and pleasent in the afternoons 80s f while we were there we got to see in one night a Sunset a Full Moon Rise and then a Full Moon set it was spectacular." 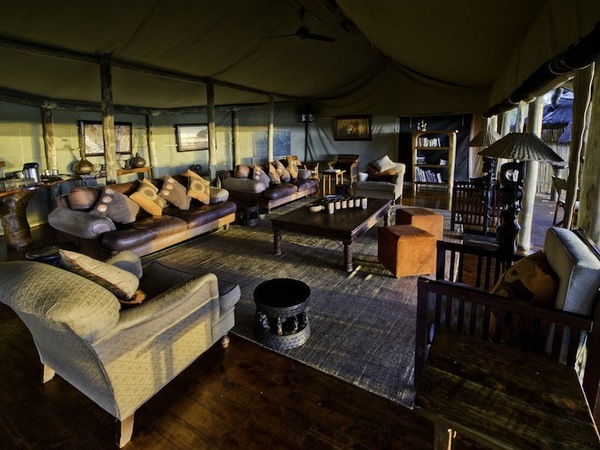 "Tubu was the final camp of our 13 day safari - I guess they saved the best for last! This phenomenal little island hideaway was terrific in every sense. The location, service, food, wildlife and activities were all indescribable. Our final makoro trip with Jackson - a river Bushman - was my highlight. Watching him weave bark into rope, make a snare and start a fire with sticks was an impressive and authentic show of tribal skills. And his smile will never escape our memories. " 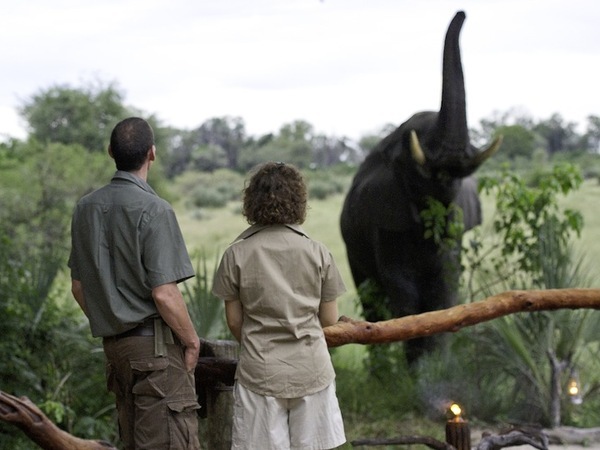 When did you visit Tubu Tree Camp?